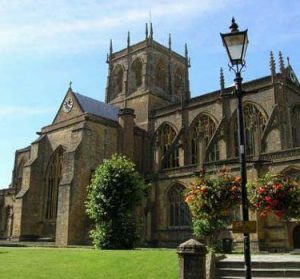 This website is our tourist guide to Sherborne Town, providing you with information about our local history, upcoming events and attractions, local education, wedding services and more. Sherborne is a picturesque market town in Dorset, located on the River Yeo. Sherborne town has excellent transport links, enabling the town to grow from a population of around 10,000 as families access Sherborne town’s world famous schools that offer superb local education. Sherborne town has an abundance of local history and is dominated by its golden-coloured Abbey Church. There is also a picturesque Almshouse and two Castles. Within the town the narrow streets are lined with old grey stone buildings interspersed with early timber-framed, gabled-ended houses and local ham stone structures. Sherborne town is a busy business and market centre for a wide area. Cheap Street is home to a wide range of independent shops offering fashion, gifts, antiques, local food, specialist chocolates, wine and more. Find Valentine’s Gift for Your Girlfriend/Boyfriend, Xmas gifts for your family and a lot of amazing and funny ideas for your special occasion. There are also great coffee shops, tea rooms, pubs and restaurants. There are also regular markets, including a monthly Book Fair and Antiques and Flea Market. Excellent hotels and guest houses make Sherborne a fine centre for those wishing to have Sherborne as their wedding location or those wishing to make use of explore the delightful and unspoilt Wessex area of Dorset, Somerset and Wiltshire. Sherborne has many businesses offering wedding services to help make your ‘Big Day’ memorable. There are a wide variety of entertainments including local amateur dramatic productions, music recitals, quiz nights, sporting events, arts lectures, wine tastings and open gardens. The Saxons named Sherborne scir burne – the place of the clear stream – and made it the capital of Wessex. Two of King Alfred’s elder brothers, King Ethelbert and King Ethelbald are buried within the impressive and beautiful Abbey. The long line of Bishops began in AD 705 when the great Diocese of Winchester was divided in two, and St Aldhelm, the first Englishman of letters, was appointed as the first Bishop of the West Saxons. When the Bishop’s seat was moved to Old Sarum in 1075, the church was taken over by the Benedictine monastery and when Henry VIII dissolved the monasteries in 1539, Sir John Horsey acquired the Abbey and most of its lands. In the twelfth century Roger de Caen, Bishop of Salisbury and Chancellor of England, built a fortified palace. Taken by General Fairfax in 1645, the romantic ruins remain and are now known as Sherborne Old Castle. Sir Walter Raleigh attempted to modernise the Old Castle, but eventually built a mansion in the grounds in 1594, now called Sherborne Castle. Sherborne town is has many buildings of historic interest with seventeenth, eighteenth and nineteenth century architecture set in unspoilt streets. The most important medieval buildings can still be seen around the town, including the Almshouse of St John the Baptist and St John the Evangelist; the fifteenth Century Conduit House and sixteenth century The Julian House originally the hospice of St Julian of Norwich. Sherborne Abbey Festival opens with Sherborne School Chamber Concert and includes a samba percussion band workshop and concert, choral evensong with the combined choirs of Romsey and Sherborne Abbeys with a finale by Nicola Benedetti included in this years full, exciting programme. Sherborne Castle Country Fair is a one-day rural event held in the grounds of Sherborne Castle. It is a traditional country fair with displays and attractions, trade and craft stands and a rare and native breed animal show. sees Classic cars at Sherborne castle including over one-thousand vintage and classic car displays, classic car run, trade and craft stands, auto-jumble, children’s entertainments, a Rolls Royce special feature plus super-cars including McLaren, Lamborghini, Aston Martin, Ferrari and Porsche. Concertfest runs concurrently with the Sherborne Summer School of Music held at Sherborne School. There will be about thirty concerts in all disciplines given by professional and student performers in venues around Sherborne including Cheap Street Church, Sherborne Abbey and Sherborne School. A full programme will be published toward the end of June 2017. Sherborne town has for centuries hosted an annual street fair, Pack Monday Fair, starting on the Monday following Old Michaelmas Day. Originally an agricultural fair, it is now devoted to stalls, sideshows and a funfair. October Sherborne Literary Festival includes a variety of author talks, writing workshops, and children’s events. Speakers are well-known personalities from various walks of life, and the festival is also taking the opportunity to introduce authors with début novels. 2016 headliners were Joshua Levine, Terry Waite OBE, Harry Parker, Susie Dent and Pam Ayres.